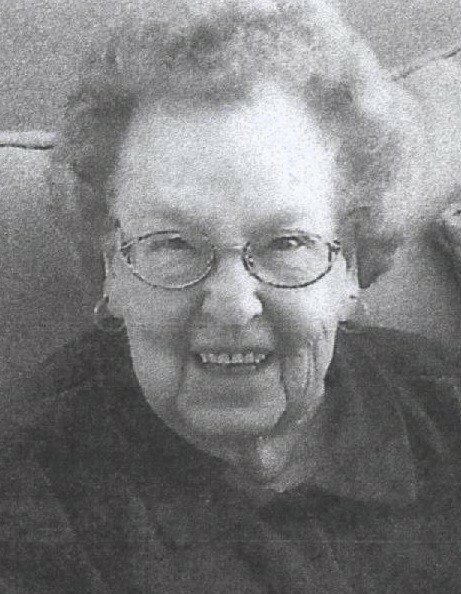 NASHUA—Laure (Charest) Fortier, age 96, a native of Nashua, died peacefully at Laurel Place on February 11, 2019, after a period of declining health. Born in Nashua on February 16, 1922, she was the daughter of the late Etienne and Helen (St. Laurent) Charest, and made her home in the French Hill area. She married Roger Fortier on May 17, 1947, and they were married for 64 years, before his death on April 14, 2012. She attended St. Francis Xavier School and Nashua High School, where she graduated from in 1940. Prior to her retirement she was employed at the Nashua Knitting Shop, Sprague Electric and Nashua Corporation for 27 years. Laure was a long-time member of St. Francis Xavier Church, served as a Eucharistic Minister and visited those parishioners who were homebound. She is presently a communicant of St. Patrick Church. Laure was a member of the National Committee to preserve Social Security and Medicare. She was President of the Catholic War Veterans Auxiliary Post 1402 of St. Francis Xavier Parish, and a member of the Senior Activity Center in Nashua. She also served as Ward 3 Selectman for 10 years. Laure’s favorite past times were playing cards with family and friends, reading, and jigsaw puzzles. She and Roger traveled to fifteen states, six Canadian Provinces, Bermuda, Israel and Rome. She enjoyed spending time with her family, the many family celebrations and found joy in her great-granddaughters. Laure is survived by her daughter Jacqueline Soroko and her husband James of Nashua; her granddaughter Nicole Frisella and her husband Ryan; her grandson Benjamin Soroko and his wife Jessica; three great-granddaughters, Hannah Frisella, and Aubrie and Ella Soroko, as well as several nieces and a nephew. Besides her parents and beloved husband, Laure was the sister of the late Fernando, Alfred, Gerard (Pete), Robert and Ralph Charest, Blanche Belanger, Marcelle Cassista, Lucille Levesque and Marthe Charron. Her family wishes to extend their heartfelt thanks and appreciation for the care she received from the staff at Laurel Place, where she resided for over two years, and to Home Health and Hospice. Friends and family are invited to call at St. Patrick’s Church, 29 Spring St., Nashua, on Friday, February 15, from 8:30 a.m. until 9:30 a.m. Laure’s Funeral Mass will begin at 9:30 a.m. Burial will follow in St. Francis Xavier Cemetery, 32 Pinehill Ave., Nashua. In lieu of flowers, memorial donations may be made in Laure’s name to a charity of one’s choice, or to Home Health and Hospice Care, 7 Executive Dr., Merrimack, NH 03054.